With Duke hosting Virginia on Saturday (6 p.m. Eastern, ESPN), it’s time to take a look at the long-term prospects for 14 potential regional anchors. No, not the temperature plunging due to the arrival of the winter storm du jour. But the breeze from the calendar flipping. With January 18th’s arrival, Selection Sunday (which coincidentally is also St. Patrick’s Day) is suddenly less than two months away. And with Saturday featuring yet another huge contest in a 2018-19 season that’s been full of them, it’s time to take a look at the most promising contenders for the four spots on the bracket’s top seed line and the games that will play the biggest parts in shaping the race. Below I’ll look at the No. 1 seed chances of 14 teams from seven different conferences. First up, the ACC, a league that has earned at least one top seed in each of the past five NCAA Tournaments. Note: Records reflect games played against Division I opposition through Thursday, January 17th; however, NCAA Evaluation Tool (NET) and strength of schedule (SOS) data only reflects games played through Wednesday, January 16th. 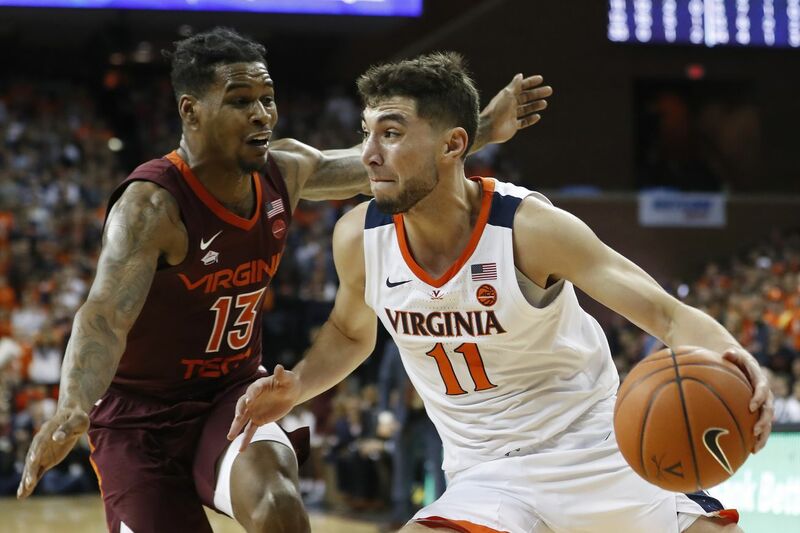 Having obliterated Virginia Tech in a game that not many got to see on Tuesday night, the Cavaliers started the first of two potentially tricky weeks off on the right foot. Now, Virginia will next aim to move to 17-0 by beating Duke in Durham on Saturday. The second Saturday in February brings the second rough stretch, one that begins with return matchup with the Blue Devils and concludes with a trip to Chapel Hill following a little more than 48 hours later on Big Monday. Exactly one week later, Tony Bennett’s team will again take to ESPN, this time for their rematch with the Hokies. The Big Ten’s improvement is boosting the quality of Virginia’s two best non-conference wins and if the Cavaliers continue to dominate the ACC, as they did in a 2018 that ended with just a single conference loss, they’ll have a shot to remedy last season’s unpleasantness. The Blue Devils have five huge ACC contests left, thanks to home-and-home series with both Virginia and, as always, archrival UNC, along with a trip to Virginia Tech for that pair’s only meeting. But Duke also has one last non-conference game left — a chance to avenge last February’s loss at St. John’s, a defeat that helped push Mike Krzyzewski’s team to a two seed. Three non-conference neutral-floor wins currently elevate the Blue Devils’ profile, but they’ll ultimately need to win on the road consistently to seize a top seed. And while they took their first two true away games of the season, they needed a buzzer-beater to win at Florida State last Saturday. Duke might not be so lucky the rest of the way, particularly with two sets of back-to-back road trips in February. On one hand, the ACC schedule does the Tar Heels no favors in giving them just four games against the top seed contenders listed here. But on the other, three of those contests will come in Chapel Hill. Then again, considering how Louisville ran riot over North Carolina on Saturday in the Dean Smith Center, those home games might not be as helpful as anticipated. And thanks to the four losses Roy Williams’ squad already owns and the lack of any marquee wins beyond the one over Gonzaga, the Heels will likely need to sweep their four most important schedule matchups and win the ACC Tournament to have any shot at a No. 1 nod. Even though the Hokies have lost just twice, they’re the least likely ACC squad to earn a top seed in 2018. That’s thanks to an abysmal non-conference schedule (with six Group 4 home wins) and the presence of just three future matchups against the conference’s best — with one of those set for Monday night at UNC. Like the Tar Heels, an ACC Tournament title might be necessary for Buzz Williams’ squad to crack the top line. Remember how the weak Big Ten limited its best teams’ seeding prospects a season ago? 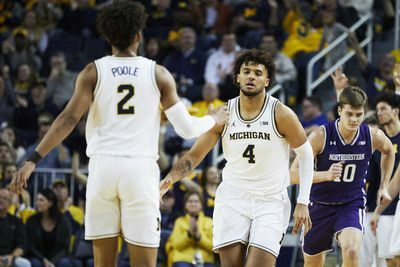 This time around, the conference’s much improved top and middle tiers mean that both Michigan and Michigan State will have a great chance at breaking through 2018’s ceiling of the two line. Michigan’s road to a potential No. 1 seed is highlighted by three home-and-home series with the one against Michigan State looking particularly significant. Outside of the win at Villanova, the Wolverines have done their best work at the Crisler Center. But John Beilein’s squad will have plenty of opportunities to load up on quality road victories to cement its place. The first three come in consecutive weekend trips (Wisconsin, Indiana and Iowa) with the the last two — excursions to Maryland and Michigan State — closing the regular season. Unlike their in-state rivals, the Spartans close with a pair of difficult home games, with a chance to sweep Nebraska preceding the finale with the Wolverines. But Michigan State’s remaining schedule isn’t without its road challenges, thanks to a late January Iowa-Purdue swing and trips to Ann Arbor and Bloomington over the week before the final home stand. Thanks to November losses to Kansas and Louisville, Tom Izzo’s team’s best two non-conference wins came against disappointing Florida and Texas. And that means the Spartans will need to excel in league play to seize a top seed — and that means MSU might just need to the late season series with Michigan. The SEC’s top No. 1 seed contender is likely a team that you weren’t expecting to challenge for a national title this year. But Rick Barnes’ Tennessee squad has already proven itself to be a legitimate threat to cut down the nets in Minneapolis. The Tennessee Volunteers have lost just once and beaten Division I opposition by 10 points or more a staggering 13 times. It’s unfortunate for the Volunteers that the SEC/Big 12 Challenge doesn’t use BracketBusters-style flex scheduling. And that means January 26th home game with 8-9 West Virginia won’t help Tennessee’s case all that much. With the SEC not being quite as powerful as expected heading into the season, Tennessee could have used the extra quality win chance. 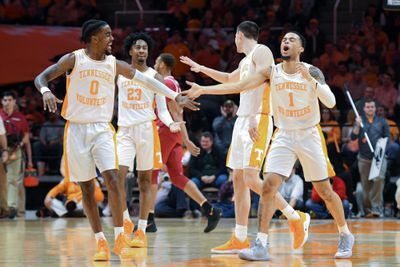 However, if Rick Barnes’ club continues to dominate as it has so far, the half-dozen truly good chances left on its schedule should be enough to keep Tennessee in the thick of the conversation. And continued excellence by Gonzaga and a bit more consistency out of Louisville will make the Vols’ two best non-league wins look better and better. While Tennessee has the SEC’s two best non-league results, the Wildcats’ pair of UNC and Louisville isn’t far behind. Plus, John Calipari’s team has something the Volunteers don’t — an SEC/Big 12 Challenge game that will matter — as top seed contender Kansas visits Lexington. Kentucky probably shouldn’t be in this race, thanks to losses to Seton Hall and Alabama. However, a remaining schedule that features the visit from Kansas and home-and-home series against SEC heavyweights Auburn, Mississippi State and Tennessee means that it would be foolish to write the Wildcats off at this point. While the Tigers are very much in the hunt for a second straight SEC regular season title, they’re the league contender with the weakest case for a national top seed. That’s due in no small part to a lack of a marquee non-conference wins (two Pac-12 victories won’t do the trick this season). But the unbalanced league schedule also hurts Bruce Pearl’s squad, as it only plays Tennessee once (albeit at Auburn Arena). 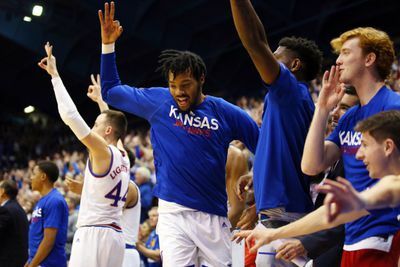 Kansas has earned a top seed in each of the last three NCAA Tournaments. But much like the Jayhawks’ far longer Big 12 championship run, this is another streak that’s in danger of ending in 2019. If Kansas earns a No. 1 seed for the fourth straight season, its non-conference schedule will have (again) played a significant role. The Jayhawks have more Group 1 wins than any other team in this post — by a pretty significant margin. And with the Big 12 again being strong, Bill Self’s team should be able to increase that total, which would result in Kansas’ NET ranking jumping. However, for that to transpire, the Jayhawks must improve their performance in true road games. While Kansas is 5-2 in games played away from Lawrence, it’s just 1-2 in true road contests. And with seven Group 1 road games left on the schedule, that’s looking like a stat to keep an eye on. On the flip side, a Red Raider squad that looks to be Kansas’ most serious challenger for the Big 12 crown is 2-0 over its limited road slate. And thanks to an unimpressive home-heavy non-conference schedule that featured a nice win over Nebraska, a loss to Duke in New York and five wins over teams ranked in the NET’s bottom 50, Chris Beard’s team will need that success away from Lubbock to continue if they’re to have any hopes of securing an unexpected No. 1 seed. At least Tech plays Kansas twice in February. With the Cyclones’ roster finally rounding into shape, even with injuries still causing problems here and there, they’re finally looking like a team capable of challenging for the Big 12 crown. And that will be a requirement for Iowa State to earn a No. 1 seed, due to some disappointing non-conference performances, particularly in Maui where a loss to Arizona meant Steve Prohm’s team left with a largely empty 2-1 record, So, the Cyclones are yet another squad that will have to make a run through conference play (and beat Mississippi in the SEC/Big 12 Challenge for good measure) to remain in contention. And with the inconsistency the Cyclones have displayed so far in Big 12 play, that’s not something to count on happening. With the Big East taking a slight step back this season and even the Pac-12’s best teams hovering near the cut line, we must look further afield for our final two contenders. Making matters worse, only one of them really looks to have a legitimate shot at the top line. 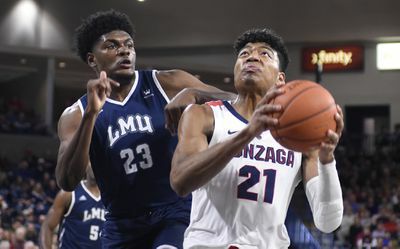 Once again, Rui Hachimura and Gonzaga should be in the top seed hunt until the very end. With two losses, the Bulldogs’ hopes might rest on how the Selection Committee evaluates them with Killian Tillie and Geno Crandall in the lineup, considering both missed the losses to Tennessee and UNC. Of course, Mark Few’s team beat Duke without the pair. The biggest factor working against Gonzaga is the WCC’s slide after a promising start to the non-conference season. That decline limits the number of quality win opportunities available to Gonzaga the rest of the way. As a result, the Bulldogs will likely need to be perfect in WCC play, win the conference tournament and get substantial help to earn anything higher than a two seed in March 2019. And then there are the Cougars, who only lost their first game (in controversial circumstances) on January 9th. To have any shot at the top line, Kelvin Sampson’s team will have to avoid further slip-ups. A non-conference schedule that didn’t deliver the quality expected ultimately lets Houston down here. Sure, LSU looks like a strong win, and there’s hope for Saint Louis, but BYU, Oregon and Oklahoma State have all disappointed. Making matters worse, the American Athletic Conference only set up one Houston-Cincinnati matchup (which will be at the Fertitta Center to the Cougars’ benefit). Even though the league is improving, it’s still top heavy (and that’s with Wichita State struggling), which means contenders really need to avoid the bad teams in an unbalanced schedule, not other at-large threats. I’ll be back with a full bracket projection on Tuesday, January 22nd. ESI Gambling Report: Where’s the value in Chongqing?